–The year I became an aunt. This is honestly the best thing that has ever happened to me. –The year of editing. Usually I draft 1-2 books a year, but this year, I edited. I rewrote. I redrafted. I redid worldbuilding and magic systems. I’m very excited to get back to drafting in 2016! –The year I became a teacher! Teaching Kindergarten fills me up in a similar was that writing does. It’s soul-satisfying, while being one of the more difficult things I’ve ever done. –The year I moved to the mountains of North Carolina. Living here is a wonderful thing, where you step onto the porch and have mountains veering up straight across from you. I miss Tennessee though! Good thing it’s such a short drive away. –The year I discovered the type of book I need to be writing. Basically: upper middle grade with crazy magic, complex characters, and seemingly unrelated plot threads that combine in unexpected ways at the climax. It only took me 9 books to figure this out. –The year I started learning how to read white water. –The year of live concerts. The Yonder Mountain Stringband. Greensky Bluegrass. The Infamous Stringdusters. Larry Keel. Keller Williams. The Stray Birds. Horseshoes and Handgrenades. Jeff Austin. Big Daddy Love. JJ Grey and the Mofro. Soja. We really got into seeing live bluegrass, jamband concerts, and it was awesome. I also read something around 60 books! I usually set my goal to 50 and have to play catch up in the last two weeks of the year, but after cruising through 15 books the month of July, I was good to go. I started recording my books on 50 Book Pledge, which has a handy (and attractive) shelf for book covers. It’s fun to scroll through and see the books I’ve read. I like this site much better than Goodreads…or, I’m just a lot better at keeping up with it here I’ve posted my entire list of 2015 reads at the bottom, but I decided to write a quick review of my very favorite books from this year! 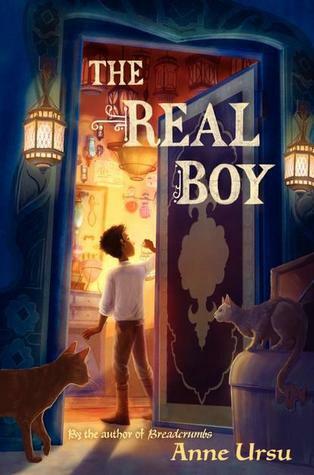 The Real Boy is the first book I’ve read by Anne Ursu, and I’ve got to say that she’s now in my “favorite authors” list. The writing style is so lovely, with clever turns of phrase and descriptions that had me reading certain passages multiple times. It’s not directly stated on the page, but the main character, Oscar’s, autism is clearly and beautifully written. This is definitely the sort of middle grade I’d like to write. The Queen’s Thief is one of my very favorite series with Gen being my very favorite book character. Turner’s first book in this series, The Thief, was a Newberry Honor book in 1997 and for good reason. 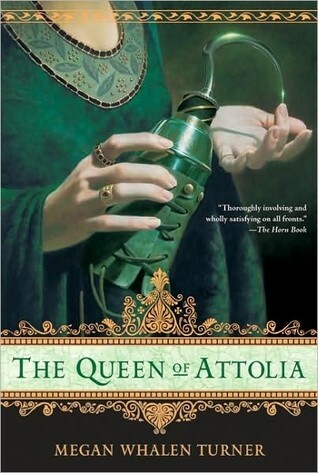 The intricate plot she wove in The Thief continues into The Queen of Attolia, except it gives a closer look at some of the characters, including one of the antagonists. I read the three most recent books in this series in a span of five days this summer. 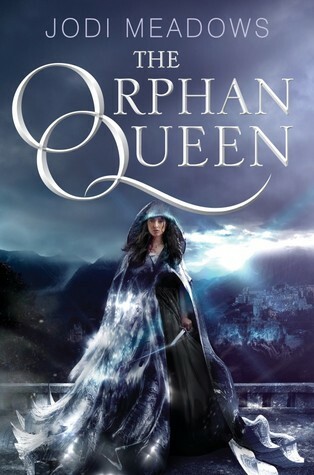 I will admit that The Orphan Queen was not one that I wanted to read based on the back cover. It was suggested to me by @EpicEmmy (who I trust with my reader’s-heart and suggested at least half my reads this year! ), so I took a chance on it. It was a bit of a slow start for me, but once past the 1/3 point, I couldn’t put it down. Part of why I enjoyed this book so much is that magic has a specific, negative effect, though the characters don’t know why or how that negative effect comes about. I’ll be interested to read and find out the answer to this when the second book comes out the beginning of 2016. 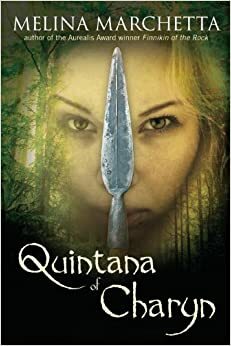 Quintana of Charyn is the third book in a trilogy, starting with Finnikin of the Rock. I enjoyed Finnikin, but I fell in love with the trilogy at the second book, Froi of the Exiles. I have Quintana of Charyn listed here though because this is one of the books that I had to sit in silence after finishing. It was such, such a marvelous read, with intricate story-plotting that tied together threads from the first book all the way to the end. This is a darker read, with a frank style, and honest telling of the brutality of war and exile. It’s no secret that Diana Wynne Jones is my favorite author. I will preach her work until my end (HOWL’S MOVING CASTLE, FTW! ), but this year I scoured around for some more of her works that I haven’t read (I also read and enjoyed The Darklord of Dirkholm and was fascinated by the juxtaposition of tone and plot). The hook in Witch Week is so wonderful that when I came to it, I thought, Why on earth haven’t I ever thought of this concept?? Witch Week was absolutely hilarious. I found myself laughing out loud throughout almost the entire read! 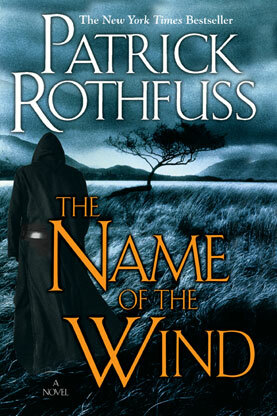 The Name of the Wind is the first in a series of books where Kvothe, the main character, tells his life’s story . This was an unexpected narrative style for me that took a few chapters to get used to, but once into the story, I couldn’t put it down. I cruised through this one as well as the second, The Wise Man’s Fear (fair warning, only two books are out right now) and am excited to pick up 2.5, The Slow Regard of Silent Things, in the New Year. This is definitely the biggest epic fantasy that I read this year. Career of Evil is the third book in Rowli–I mean Galbraith’s series. The detective, Cormoran Strike, has a very Holmsian sort of air about him, as well as the way that the story unfolds. Career of Evil was by far the most closely personal of the three books that are out, which worked for me. I highly (highly highly) suggest checking out this series even if you don’t usually read mysteries. Before this year, I hadn’t read any of Terry Prachett’s books (I know, I know. Terrible! ), and after he passed, I went to check out his Discworld books. I am so glad that I did. 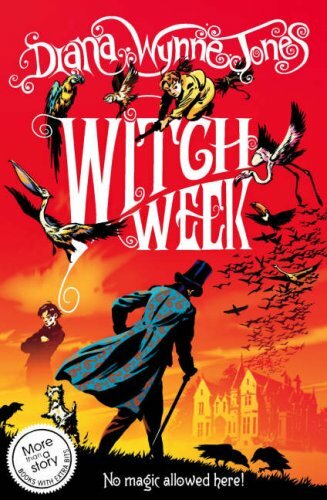 I started with Wyrd Sisters because it was recommended as a good book to start with in the series. It was clever and unique and hilarious in very fun, unexpected ways. This is exactly the sort of middle grade book that I love! 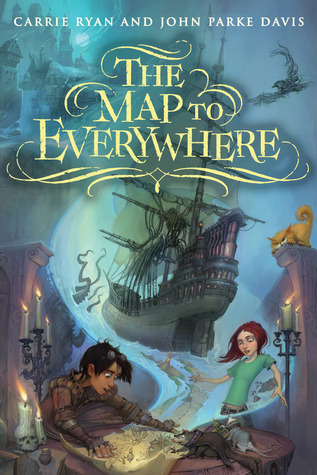 A funny, romping adventure story with two main characters that the reader roots whole-heartedly for. I haven’t picked up the sequel yet, but I’ll be excited to check it out in 2016. Vicious is a superhero book that doesn’t feel like a superhero book. It’s told through a non-linear timeline with multiple points of view which allows for the events to unfold in unexpected ways. None of the characters in Vicious felt like heroes to me, all with dark backgrounds and motivations that made the characters feel very real. Schwab is one of my very favorite authors and she definitely didn’t disappointed with this one (as well as A Darker Shade of Magic which I read this year too). This book. This book. THIS BOOK. This book has all the things: intricate, fully-developed world building; a magic-system that is both limitless and science-based (I can’t describe how envious I am of this system! ); and characters with fleshed out histories, hidden motivations, and emotions that run deep. 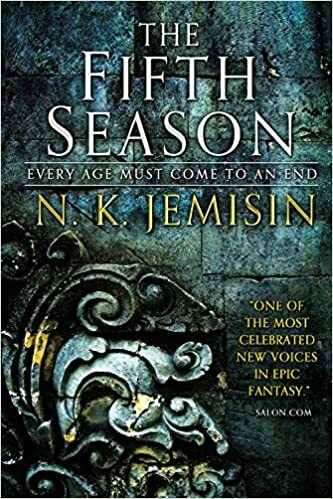 Jemisin plays with points of view and and narrative style in this book. I will likely go back in 2016 to try and figure out how exactly she did what she did. I’m very excited for the second book in this trilogy to come out. What were your favorite reads from this year? 2015 was severely lacking in non-fiction reads. I have a few keyed up for 2016 (including The History of the World in 12 Maps which I’ve started and is AMAZING), but I’d love recommendations if you have any!